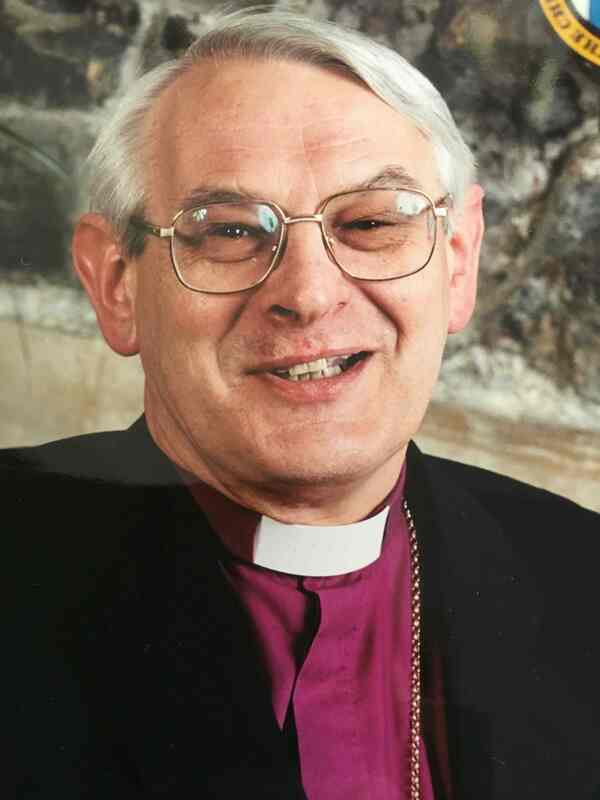 Tributes are being paid to a retired Welsh bishop who died last night (May 11). Bishop David Thomas, 74, served as the Provincial Assistant Bishop for 12 years. He was appointed in 1996 for the role which was set up to provide episcopal care for those unable to accept the ordination of women as priests. He retired in 2008 and the role then ceased. A Requiem Mass funeral will be held at St Mary’s Priory, Abergavenny, on June 5 at 11am (details below). 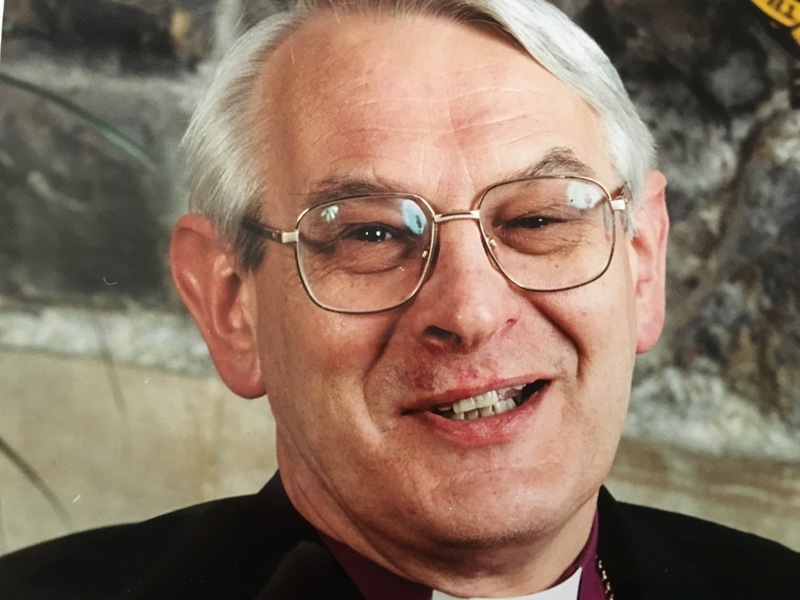 The Senior Bishop, the Bishop of Swansea and Brecon, John Davies, paid tribute to Bishop David’s “long and distinguished ministry”. Educated at Keble College, Oxford, Bishop David trained for ministry at St Stephen’s House, Oxford, and was ordained Deacon in 1967 by his father, John Thomas, who was the then Bishop of Swansea and Brecon. He served his curacy at Hawarden in the Diocese of St Asaph and at the same time taught at St Michael’s Theological College in Llandaff. 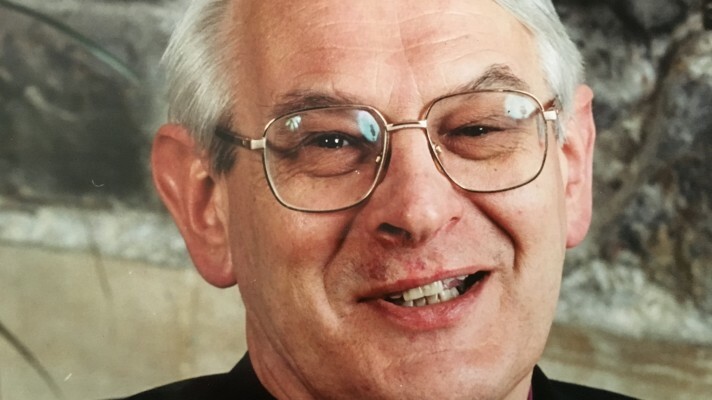 He remained in academia throughout the 1970s and much of the 1980s, serving as a university chaplain in Wales and then returning to St Stephen’s House as firstly Vice-Principal and then, from 1982-87 as Principal. Between the two St Stephen House appointments, Bishop David spent three years as Vicar of Chepstow. He returned to Wales in 1987 and was Vicar of Newton for nine years before being appointed Rural Dean of Clyne. He also served as a Canon of Brecon Cathedral from 1994-96 and was consecrated Bishop in 1996. Bishop David celebrated the 20th anniversary of his ordination as Bishop at a service in St Mary’s Priory Abergavenny in December. The Funeral Mass of Bishop David Thomas will be held on Monday, 5th June, at 11am in St Mary’s Priory Church, Abergavenny. The Principal Celebrant will be the Right Reverend Jonathan Goodall, Bishop of Ebbsfleet. Bishop David’s family wishes that the Mass be celebrated in white and has invited a small number of priests to concelebrate. All other bishops and clergy are warmly invited to robe, should they wish. Vesture for bishops will be convocation dress; for priests and deacons it will be choir dress. In his role as a Bishop in the Church of God, both a ring and the pectoral cross which David Thomas wore, with affection and pride, were those of his father John James Absalom Thomas, better known as Jack, who had been Bishop of Swansea and Brecon from 1958 to 1976. Jack had been elected to Swansea and Brecon whilst serving as Vicar of Swansea a post to which he had been appointed while serving as Warden of Church Hostel in Bangor. David’s mother was the daughter of a priest who was to become Dean of Bangor, and elsewhere, both in the close and extended family, priests were to be found. So it was that, in 1942, in Bangor, David was born into a devout and Godly family. He was educated at Christ College, Brecon, went on to Keble College, Oxford at the time when Austin Farrer was Warden, and thence to St Stephen’s House to train for ordination. Inevitably, David was influenced by many, not least by Farrer, but he was clear that it was his witnessing the exercise of his father’s priestly and pastoral ministry which influenced him most significantly in his own vocational journey. All was not, however, plain sailing and David admitted that, during his time in Oxford, there were testing times and temptations to change course, as well as doubts and anxieties. These he was helped to overcome through contact with the Community of the Resurrection at Mirfield, and it was whilst being part of a Mirfield mission to a parish in Southampton that David was to meet Rosemary Calton. David and Rosemary married in 1967, shortly before David’s ordination as Deacon. He died, very suddenly, just 45 minutes after he and Rosemary had returned from a holiday arranged to celebrate their Golden Wedding Anniversary. David was clear that, once ordained, he wanted to serve in Wales. However, recognising that serving in a Diocese where his father was the Diocesan Bishop could be problematic, it was decided that David would be ordained to serve in the Diocese of St Asaph.  Fate, however, had a hand in events, and, come David’s ordination as Deacon, the Bishop of St Asaph, David Bartlett was ill, and his own father was called in from Swansea and Brecon to officiate. He served his title in the Parish of Hawarden where he was given particular responsibility for the Sandycroft area. Then, after two years, came a foray into the world of teaching academic theology with appointments first as Tutor and then as Chaplain at St Michael’s College, Llandaff where he served from 1969 to 1975. Then came an invitation to return to Oxford as Vice-principal at his old theological college, St Stephen’s House. The House was in a state of some unhappiness and in need of new and fresh leadership. David Hope, with whom David had trained there, had been appointed as Principal, and he invited David to work with him in bringing about the change which he felt was needed. David recalled not only the scale of the challenge, but also that it was faced and overcome. 1979 saw David return to Wales as Vicar of Chepstow in the Diocese of Monmouth, but he was to remain there only until 1982 when, following David Hope’s appointment to All Saints’, Margaret Street, he returned to St Stephen’s House, this time as Principal – his appointment aimed at providing a sense of continuity in relation to the reforms and changes earlier brought about. In 1987 there again came a return to Wales, to exercise that ministry which lay at his very heart, namely the ministry of being a parish priest. He was appointed as Vicar of Newton, in the Diocese of Swansea and Brecon, a parish where, during a current interregnum he, with other local clergy, was regularly helping out, much to the delight of former parishioners. It was during David’s time in Newton that, in 1996, and at the second attempt, the Governing Body of the Church in Wales passed a Bill to allow women to be ordained as priests. The failure of the first Bill in 1994 had caused significant unrest, and when, in 1996, the second Bill was passed, it was agreed by the Bench of Bishops, that a Bishop be consecrated to serve as an Assistant to each of them in each of their six dioceses, there to exercise a particular role in relation to those for whom the development was unwelcome and unacceptable. So it was that, in 1996, in St Asaph Cathedral, on December 21st, the Feast of St Thomas the Apostle, David was consecrated Bishop, and became the Provincial Assistant Bishop for the Church in Wales, a post which he held until his retirement to Swansea in 2008. It is beyond doubt that the non-appointment of a successor in that role remained a cause of great concern and sorrow for him. Over the years, David’s theological skills led to him being invited to contribute significantly to the work of both the Liturgical Commission and the Doctrinal Commission of the Church in Wales. In relation to both, his work was firmly grounded, well-researched and, for such reasons, appreciated even by those who did not always warm to some of its conclusions; and beyond these formal Commissions, the same can be said of contributions made to other publications too. In terms of the entirety of ministry, David Thomas was, first and foremost, a devoted Parish Priest, possessed of a good mind and an engagingly warm personality; and, whether in parochial ministry, the academic world or as a Bishop, he revealed himself to be a person of empathy, learning, pastoral sensitivity and humour. Although on occasion, robustly spoken, David was also very kind. As a family, we were touched when he readily agreed to deliver the address to what was expected to be and proved to be a modest congregation at the simple funeral service of my late mother-in-law whom he had prepared for Confirmation during his time at Chepstow. Those with whom he disagreed or who disagreed with him, even profoundly so, and not least in relation to the admission of women to the priesthood and, later, the episcopate, invariably found that he was able to demonstrate these characteristics. He always sought to write, debate and speak with integrity and conviction, as well as with grace, good manners and effectiveness. Born into and brought up in a loving and devout family, David was himself a devoted family man. Throughout the various stages of his ministry, he was always wonderfully well-supported and deeply loved by Rosemary, Felicity, John and rest of the family, not least by grandchildren in whom he delighted. He died so suddenly and unexpectedly on May 11th shortly after 6-00 p.m., soon after returning home and, Rosemary told me, after a cup of tea. On being told this and reflecting on the time of day, I expressed some mild surprise that it had not been a gin and tonic which, unlike his pipe, he had not foresworn. That, said Rosemary, was to follow. Sadly it was not to be so. May he rest in the mercy, peace and love of Christ; and may those who mourn him be sustained by the faith which he taught, practised and loved. This was posted on 12 May 2017 and updated on 25 May 2017.